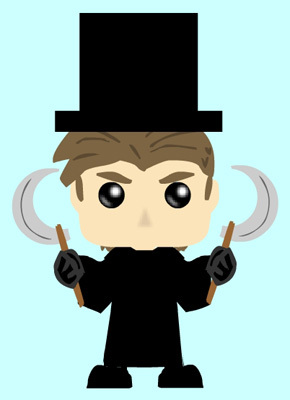 Hykez drew a Funko Pop style Felix! You know, those cute little toy things? Ah, I've never seen one in person, but I've seen many pictures. They're so cute! And Felix, omg, he's SO perfect like this, I swear! Sooo cute! 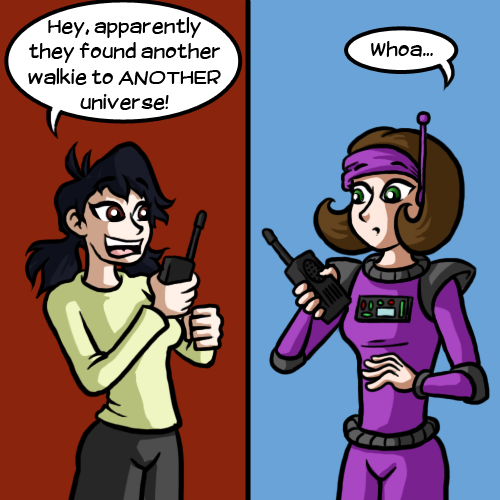 It's my Eva, meeting Sonja from my boyfriends awesome text based comic! Woah! I gotta say, that's a really cool idea for a crossover, mweehehe. I really squeeed at the idea of this- just awesome. Eva, as always, looks amazing in his style! Really, Argyle just gets her so... Perfect, somehow! I was wondering where my buddy Jeff went! Back just in time for more insanity! They should really stop Anne, I mean in a way, she's getting in the way of education and homework doesn't do itself. True- Alas, she just can't help her own fangirly excitement! I don't think I've ever gotten to draw her this excited! ...why do I fear already now that there will be no "later".. :-/ or maybe I'm just too worried ..? I was never one to get excited about school. But I know those who are. More power to them. Heh, same. Good lord, the weeks lasted SO long... Weekends, holidays, and summer were the only reasons worth living! Right. No schools in the wastelands. What is there to know anyway except basic skills needed to survive and a few important areas like tech and medicine? So I guess people learn from one another or there are really quick schools. School is the reason why Jenny ended the world, right? Yup. No formal education, at least in most places. So of course Anne would be interested! Oh good, they got rid of school. No school means no public school system which means this apocalyptic future is great!